Rinse the chicken breasts under cold running water and then blot dry with paper towels. Get an air tight Ziploc bag and pour in the Cayenne pepper, black pepper, Paprika, Oregano and Orange juice. stir this mixture. 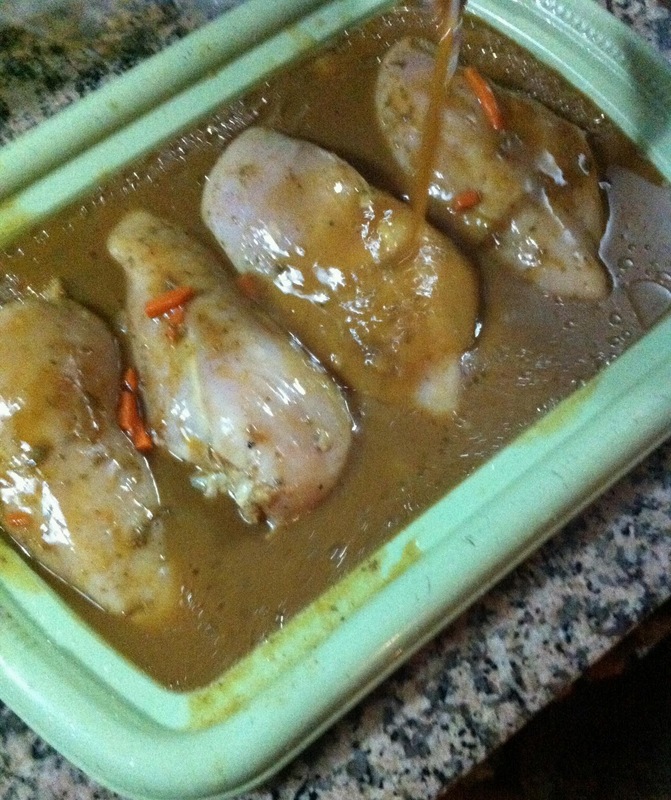 Add the chicken breast into the bag and let it marinate in the fridge for about 24 hours. Place the Skillet on direct heat and leave it on for about 2 minutes. Make sure you clean the grates before they get too hot. It wouldn’t be a bad idea to oil your grates either, you can do this with a brush, tongs and some cooking oil. Place the breast on the hottest part of the grill and don’t touch them for 2 minutes. 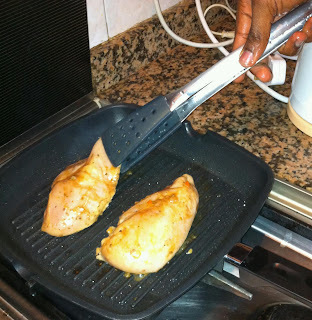 As shown in the photo below, you can actually tell that the chicken breast is cooking through, they will get more and more opaque as they cook. Make sure to keep coating the breasts with oil, this can be done with a brush, to keep it from burning. 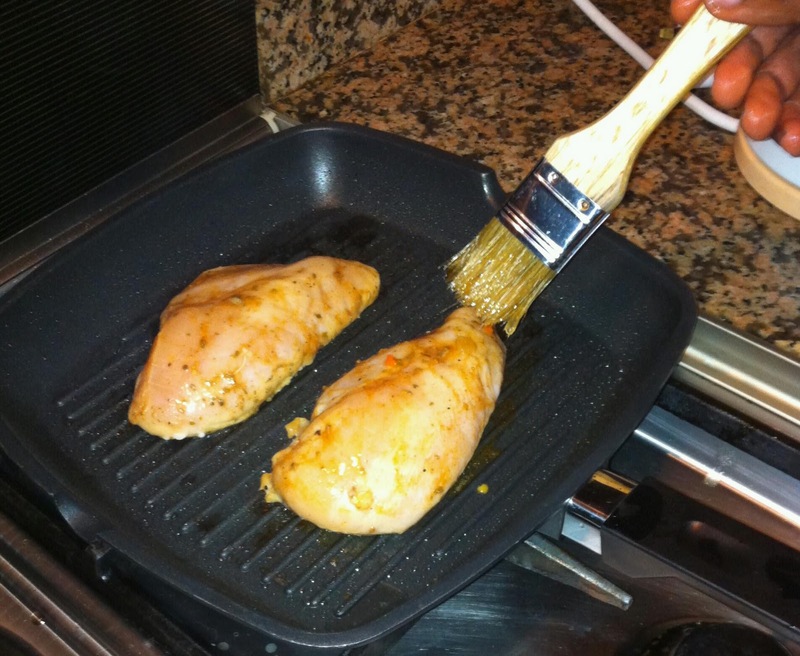 Using tongs, lift each breast, rotate 45 degrees and then place them back on the grill. 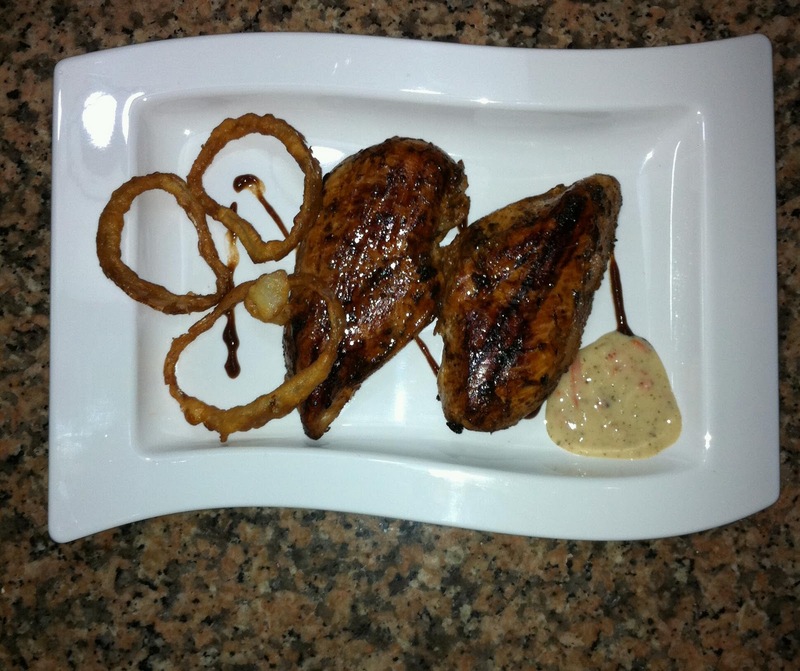 Presentation is half the battle and this will create some impressive grill marks! To make the onion rings, Wash and peel 2 large onions, cut into 1/4-inch thick rounds. Separate rounds into rings. In a bowl, combine flour and baking powder. In another bowl, whisk together egg and milk. Add milk mixture to dry ingredients, blending well. 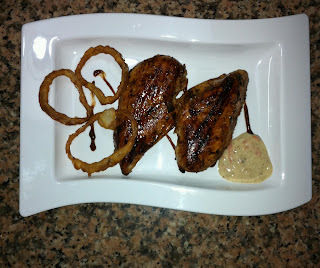 Dip onion rings into batter, then drip into oil at about 365°. Fry until golden brown, turning to brown both sides. Remove to paper towels to drain thoroughly. Sprinkle with a little salt before serving.